For some reason making this queso was difficult. Well, not making this queso, but rather, the journey to find out how to make queso. 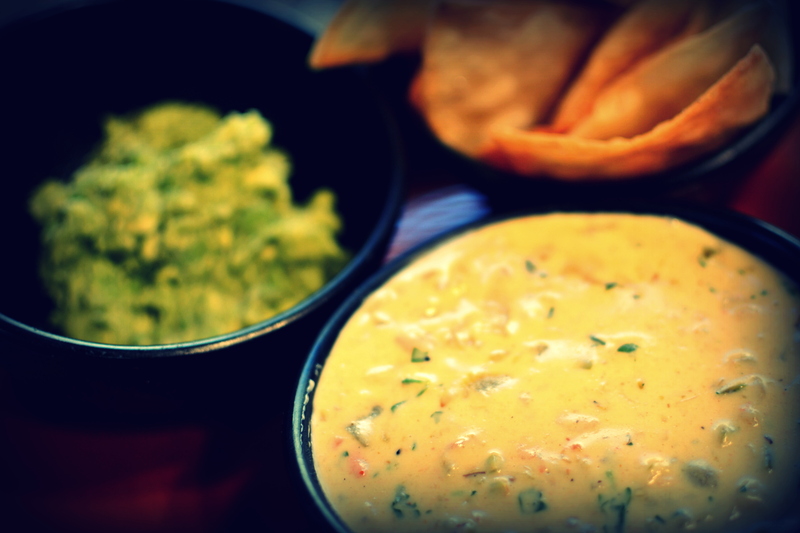 In case you didn’t know, there aren’t a lot of queso recipes out there. Correction…there aren’t very many good queso recipes out there. Although I do have an aversion to American cheese, it works. Other cheeses don’t. Trust me I tried. 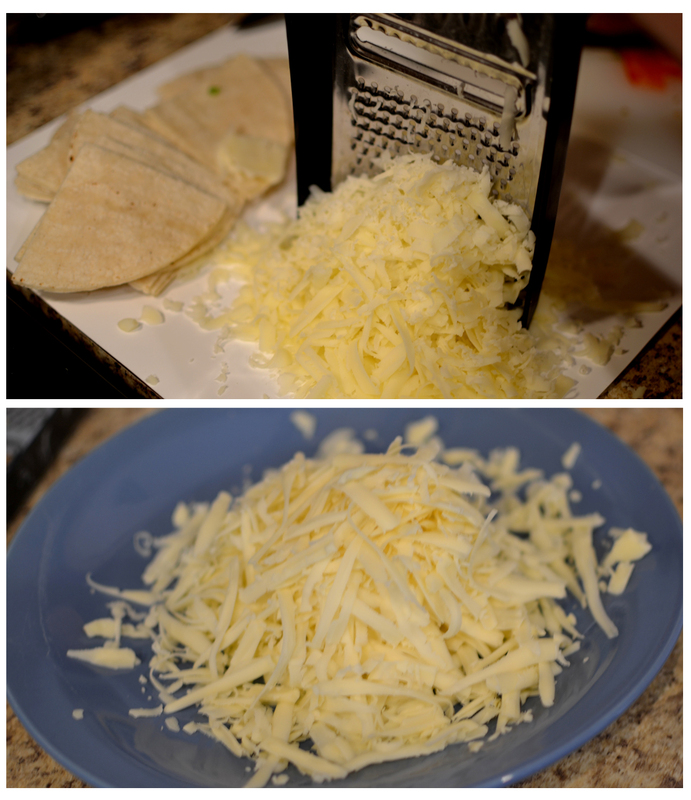 I made the same recipe with Mexican melting cheese and it was rubbery and stringy. I saw recipes for Monterrey jack, but following the recipes were hundreds of disappointed commenters saying it was stringy. Sorry folks…until you can prove me wrong…American cheese it is. Good news is that it does taste good! I would liken it to Appleebees queso blanco. I ate some of it when I made it…but I ate the rest the next morning. I hadn’t even refrigerated it! (Gross I know) I think it tasted better the next day. 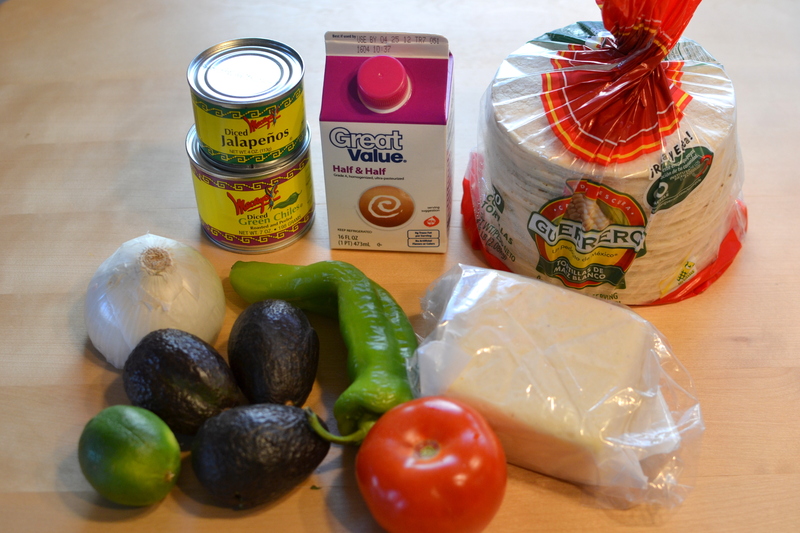 So here you have it….QUESO FUNDIDO!!! First chop your tomato, onion and Anaheim chili. Grate your American cheese and set aside. Now sauté your onion and Anaheim pepper until brown. Transfer to saucepan over medium heat. 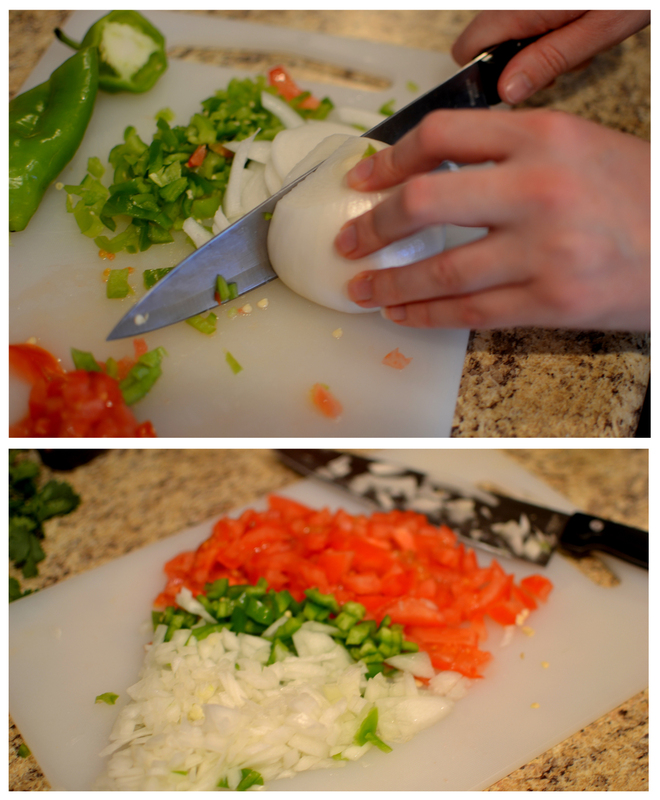 Add tomato, jalapeno, and green chili. Add your cream and grated cheese and stir well. Add in your cilantro and taco seasoning and lower heat. Cut your corn tortillas into fours and fry over medium high heat. Once browned, remove from oil and let dry on paper towels. 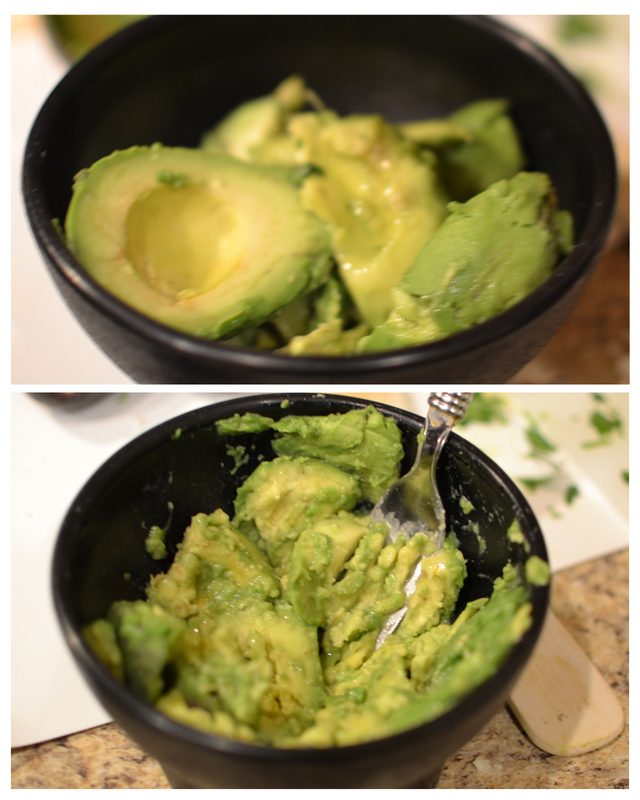 Mash your avocado and add salt and fresh lime juice. Even baby Glory loved it! 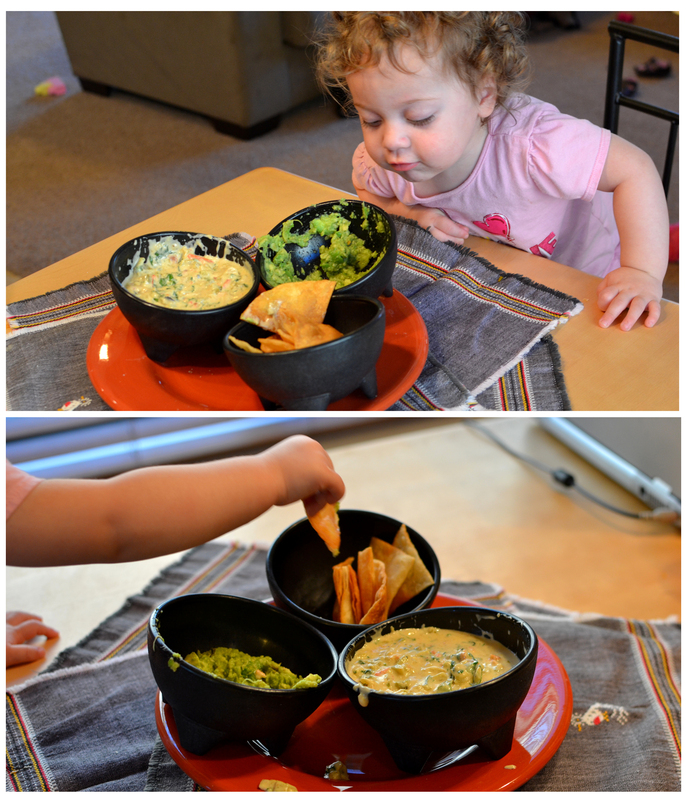 This entry was posted in Mexican and tagged applebees, cheese dip, gluten free blog, gluten free queso recipe, green chili, how to make queso, jalapeno, mexican queso, queso blanco, queso fundido, queso recipe, restaurant queso, white queso. So excited to see other people frying their own tortilla chips! We will have to try this queso! How is American cheese different from velveeta? Aren’t they both processed cheese “food”? Its not that different…I would say that american cheese is somewhere between real cheese and velveeta, but stil not ideal. At least it has to be refrigerated right? And the second time I made it I used 1/4 regular cheese and it tasted even better. What cheese did you use for the other 3/4 that made it taste better? Recipe looks great, I can’t wait to try it! Question: who makes gluten free taco seasoning? I have to make a queso for my work and its 2;1 white american to pepperjack. Then milk keep adding to your liking of thickness..